Written by Buildington on Thursday, 8 June 2017 . Posted in Interior Design, London, New developments. When it comes to marketing of the new build homes, the presentation has a very important role to play. People are not just buying an apartment, they are buying a lifestyle. In many ways, the interior designers are holding the most important piece of the puzzle. The buyer might not see the full potential of the space. Not the way a professional does. London developers know this so they hire the pros to help bring out the best. But who is working on the top #100 developments in London at the moment? Let’s have a look! The author of the ‘aykonic’ design in this development is the team of the well-known fashion brand Versace. Donatella Versace‘s handwriting is everywhere, from the mosaic walls of the spa influenced by the icon of Versace, to the intricate Greek Key inlay of the bedroom doors. 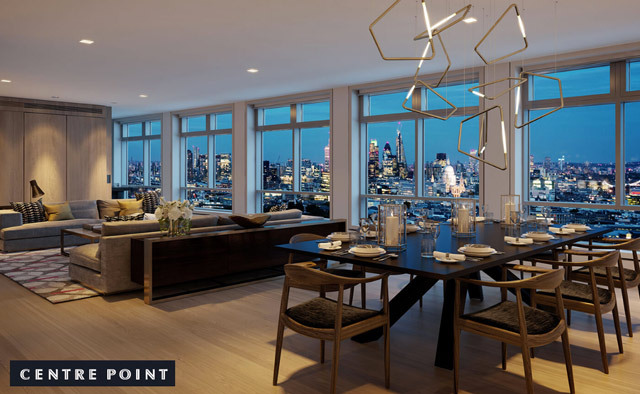 One of the prime developments in the world at the moment will have interiors designed by 1508 London and HBA. 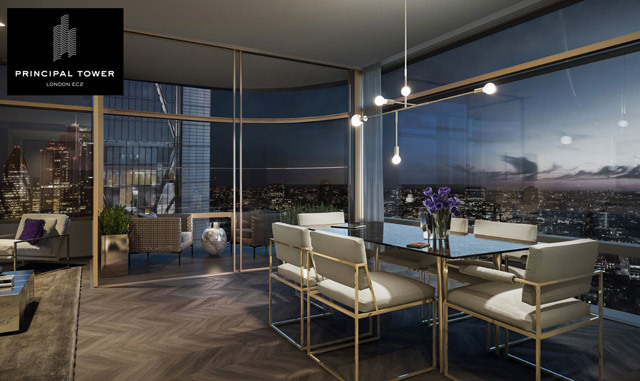 The interiors of the tallest residential tower in Western Europe have been designed by Nicola Fontanella of Argent Design. She is also busy with The Stage development in Shoreditch. 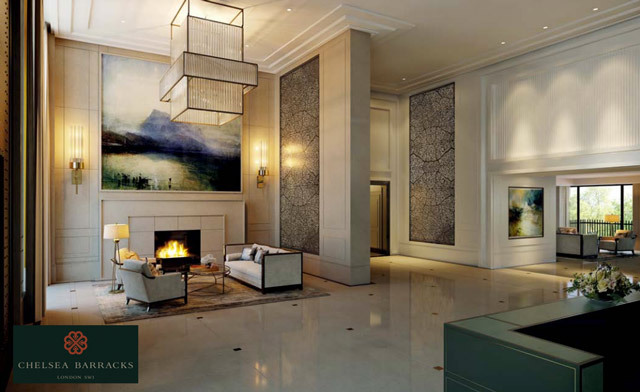 Johnson Naylor designed the interiors for the apartments, penthouses, common parts, resident’s amenities and marketing suite. They are also working on Southbank Place. 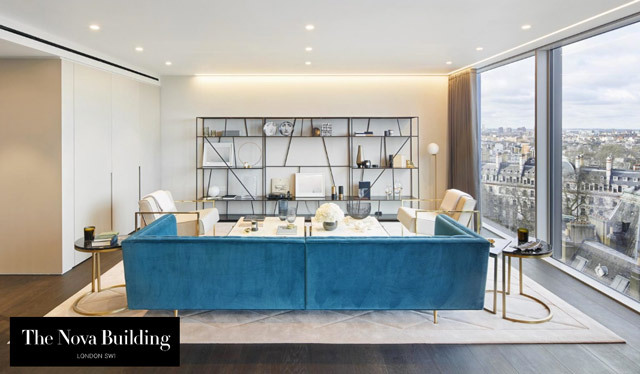 The interiors, designed by CID Interieur, have been influenced by the glamour of nearby five-star hotels such as The Savoy and Waldorf Astoria. The same team is also working with a few other Berkeley’s development, such Kensington Row and Smithfield Square. Quite often these days, the architect is also responsible for the design of the interiors. Well, it’s only natural, considering the most stunning feature – the widescreen window – was already designed by Foster + Partners anyway. The design concept channels the classic sophistication of the financial district with the creative, industrial aesthetic of Shoreditch. The Marketing Suite is set to open this month in June 2017. 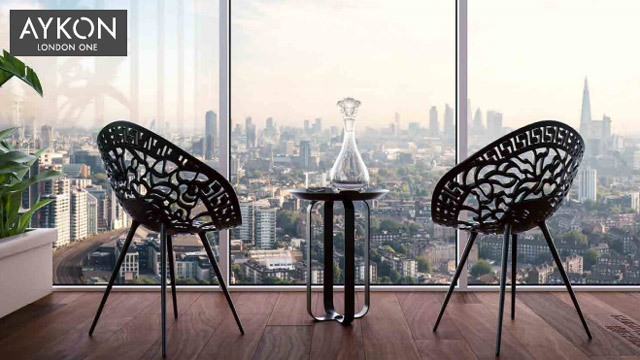 The inspiration behind the interiors designed by Conran & Partners (who is also the architect of the project) comes from the building’s texture, which creates a deep three-dimensional pattern of shadow and light. 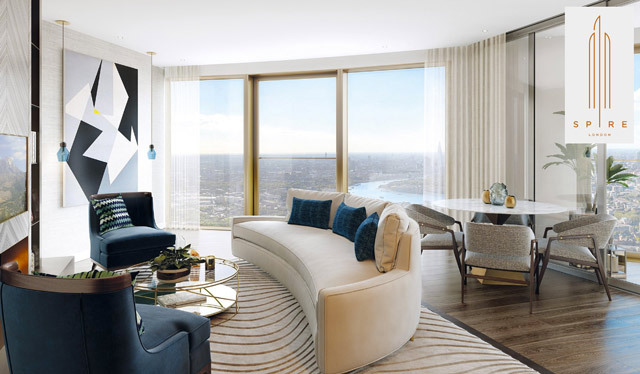 FLINT, architect Flanagan Lawrence’s interior design team, was appointed in 2011 by Land Securities as Interior Designer and Interior Architect for the building. The same team is behind the interiors at the Alto development. This is by far not a complete list so we will try to list more in the future. Watch this space!